What’s a mother going to do when the bag you bought during the start of school doesn’t close when you put in your daughter’s folders? And you guys know me too well, I don’t like spending on certain things. The school should have told us during enrollment that a long envelop with handles could have done the trick. So I paid dearly for the wrong bag and I did not want to pay again for another bag… So what did I do? My daughter has recently been hit by the One Direction craze. “Hit” is an understatement. She can listen to a One Direction song and tell you who in particular in doing the solo. I am rolling my eyes as I type this. I wish she could put all these efforts in her studying instead BUT she's only in Kinder so I'll stop pressuring her. I had this office premium item that could fit all her things inside. Actually, she can even fit inside I think. Nyehehe. So I decided to spruce it up a bit... I mean, you can't be "cool" if your bag is a premium item. 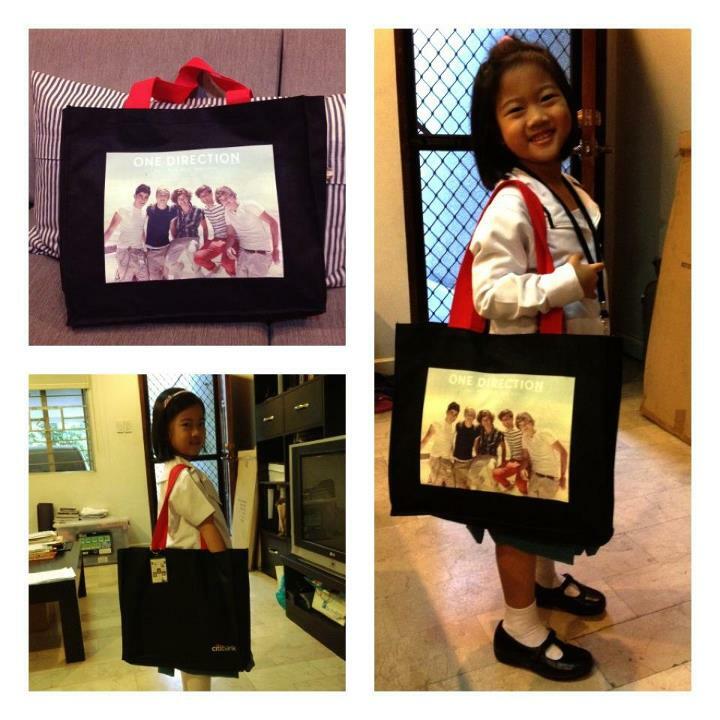 No, I take it back, I did not want her to feel inferior with her bag in school. Each girl had a Barbie or Disney princess bag. I wanted hers to be different and something she would love. Before and after picture of the bag. Not bad right? The smile on my daughter's face, priceless.